In association with Indian Agriculture Research Institute (IARI) Techno Surge have brought out a programmable, portable, low-cost equipment, named PUSA Soil Test Fertilizer Recommendation Meter (STFR) Kit, that brings soil testing and fertilizer recommendation at farmers’ doorstep. This not only tests soil parameters but also gives crop-specific fertilizer recommendation and suggests ameliorants for problem soils. Ministry of Agriculture, Govt. 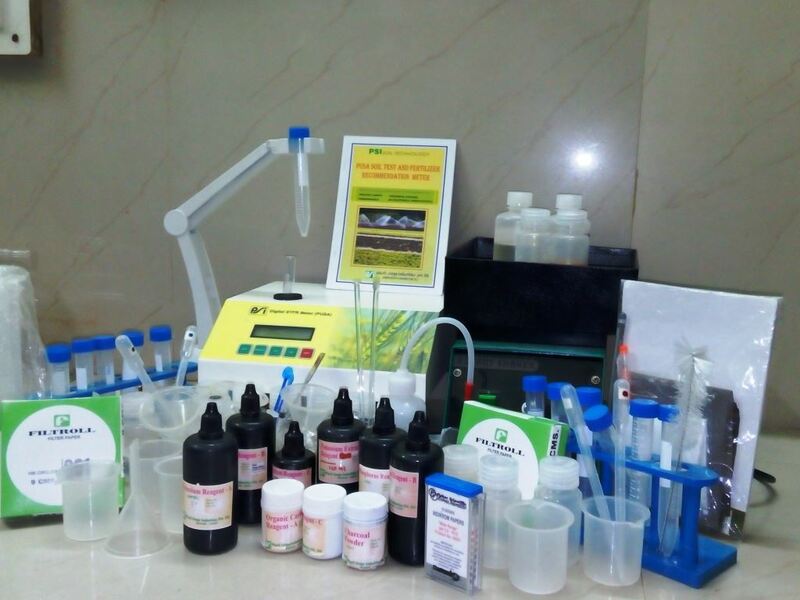 of India has incorporated this kit as an Official Kit for preparing Soil Health Cards. The equipment can be used with the help of a manual provided in the kit. It can be used by village Panchayats, agri–input dealers and several self-help groups or NGOs working in village for soil testing purpose. It can be used by unemployed youth for soil testing business. Techno Surge Industries LLP has been a reliable name in Field Water and Soil Test Kits in India for more than a decade along with being a leading manufacturer of Disposable Medical & Surgical Products, Health Care Kits for two decades making it an ISO:9001-2008, ISO:13485 and CE certified organization, CRISIL SE-2A rated and recipient of ‘BEST INDUSTRY AWARD 2010’ from Government of Maharashtra. Bhumi Prayogshala Mini Soil Testing Labs using the PUSA STFR technology will bring about a revolution in the way services are carried out in the agriculture sector in India. With pan India presence, no farmer will ever have to waste their precious resources on application of excess or wrong fertilizers and other inputs.